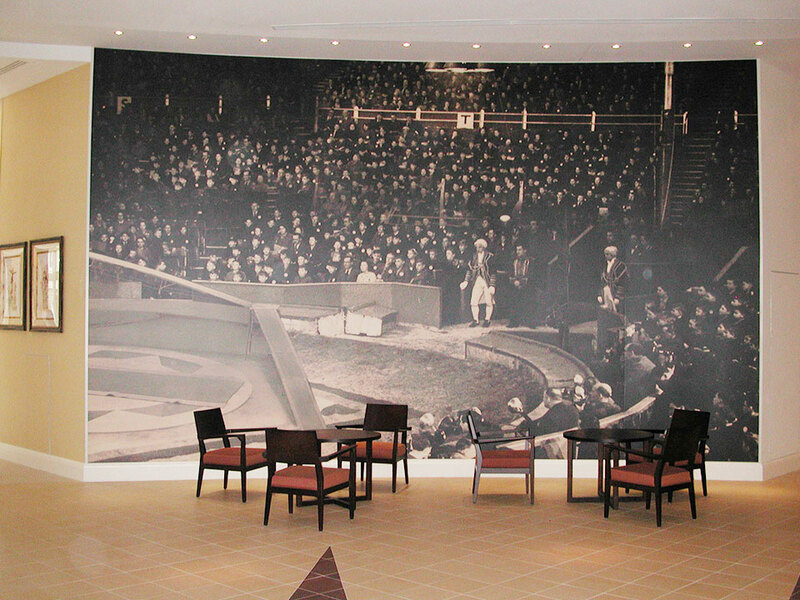 DescriptionGraphica Display were commissioned by Holiday Inn to theme several walls and even a huge graphic ceiling at a new and exciting hotel close to Disneyland Paris. 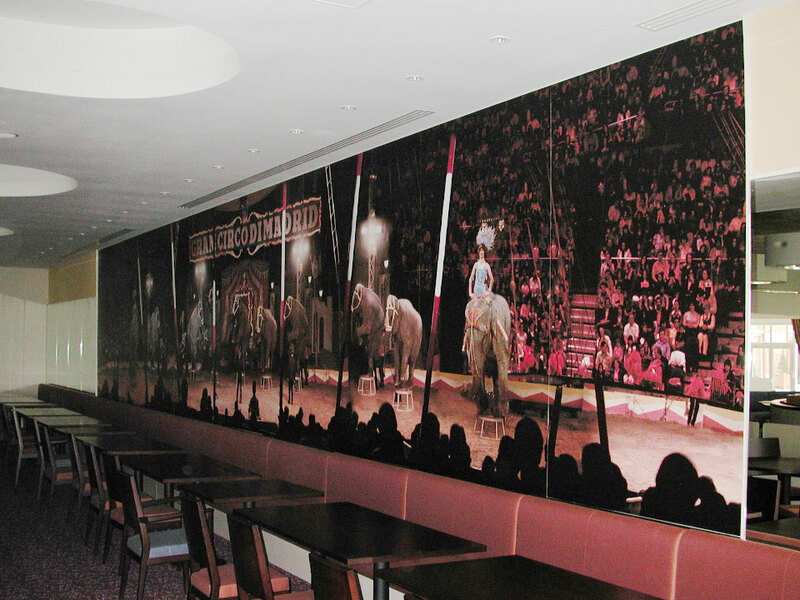 The 1900's circus theme was run in different applications around the hotel and we fitted a 8 x 6m graphic ceiling where we were literally working on our backs! The client was very happy with the effects and the scheme was successfully rolled out in correct formats. 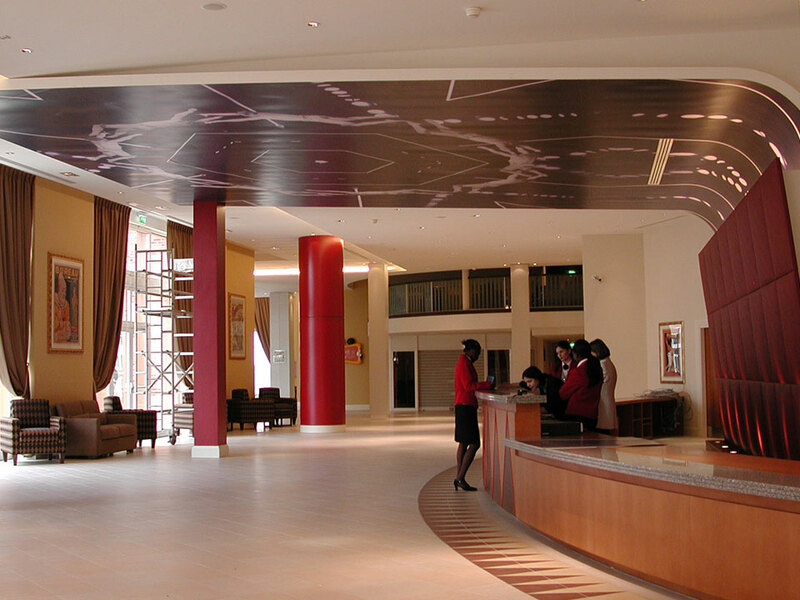 If you have any graphic or signage projects within the hospitality markets then please don't hesitate to call one our experienced sales team.